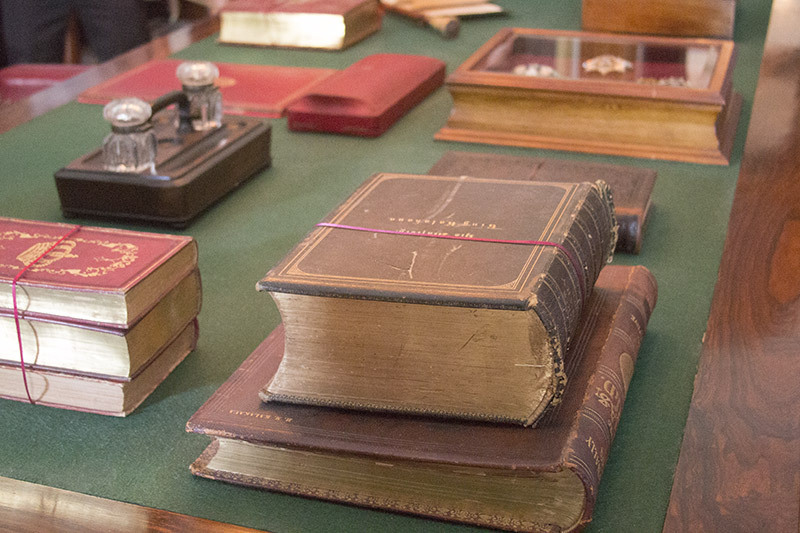 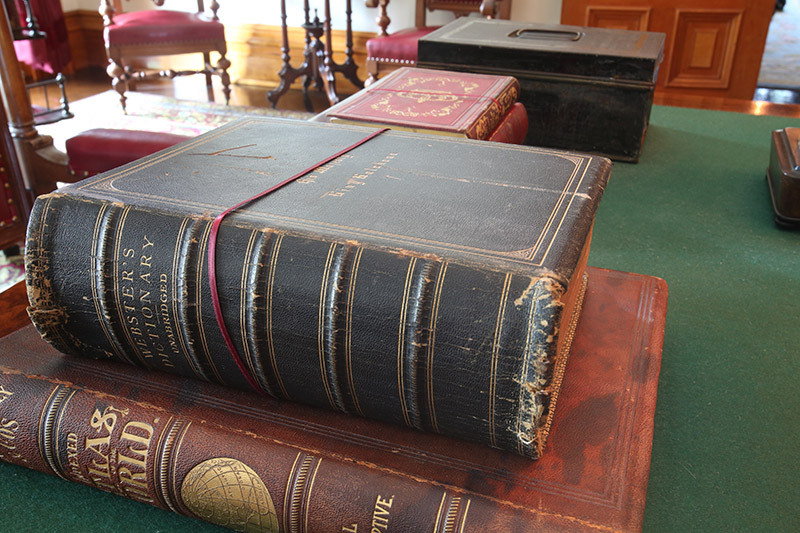 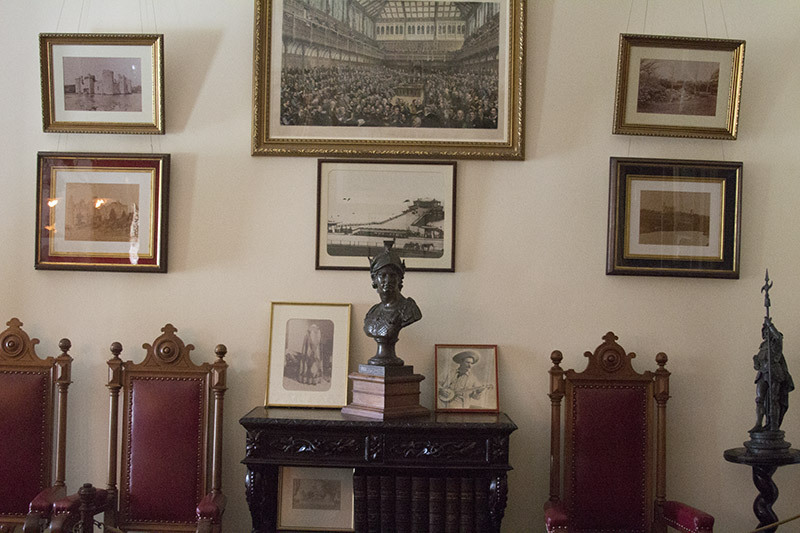 King Kalakaua’s library is where he spent much of his time. 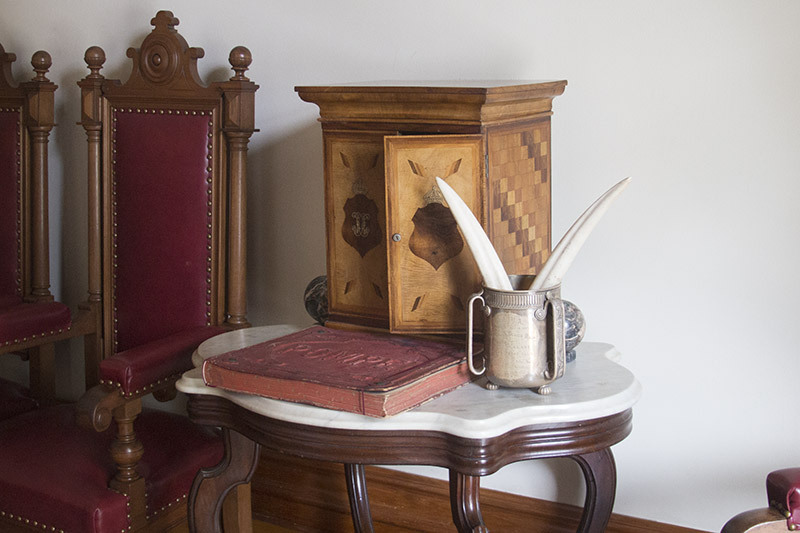 The king was fluent in French, English and Hawaiian and the various objects in this room demonstrate his interest in modern technology. 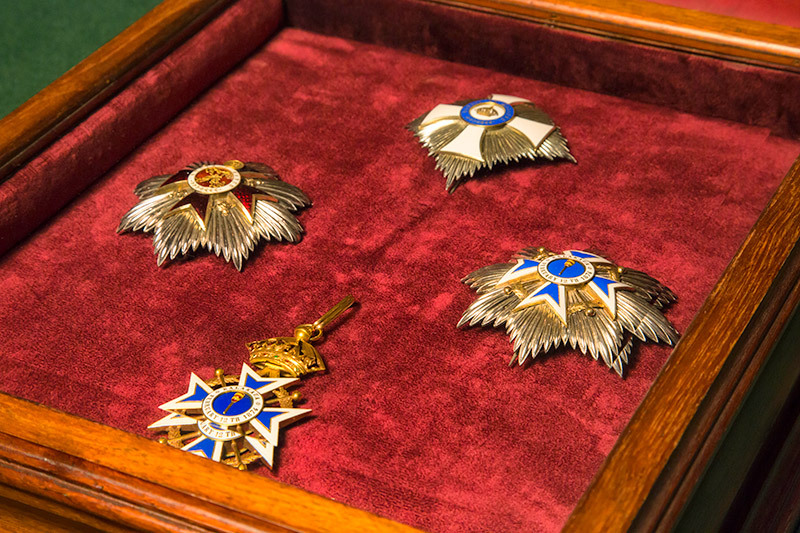 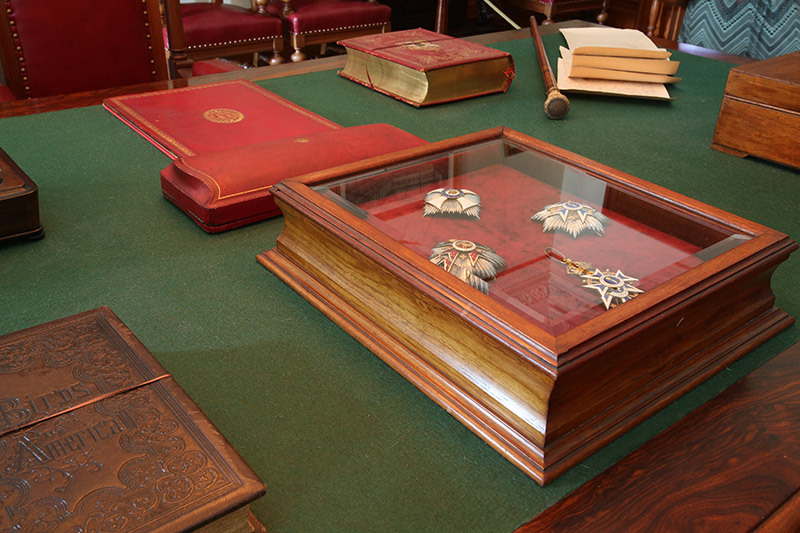 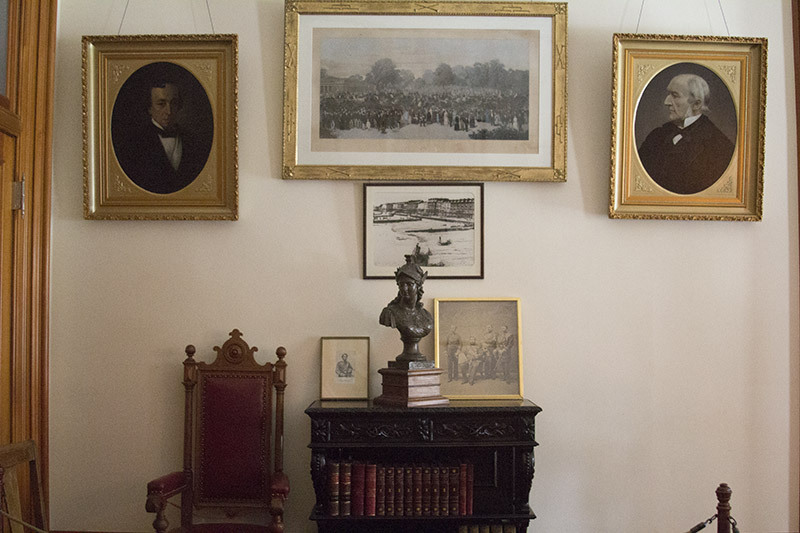 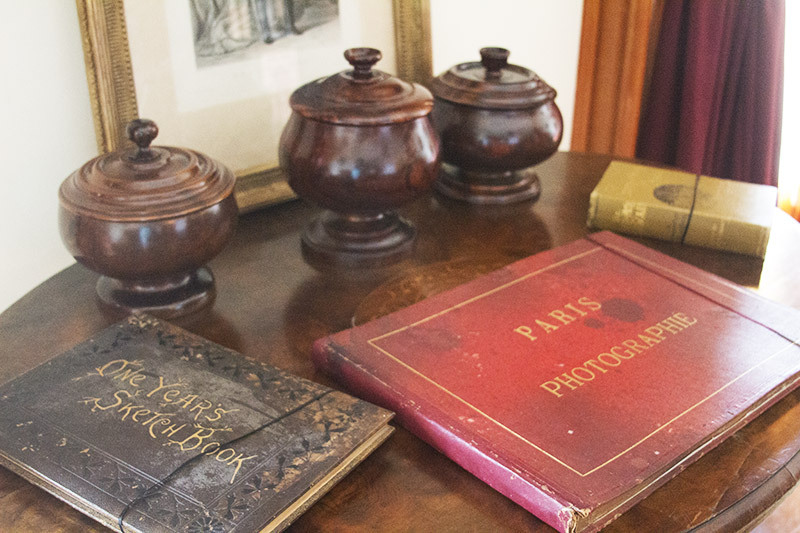 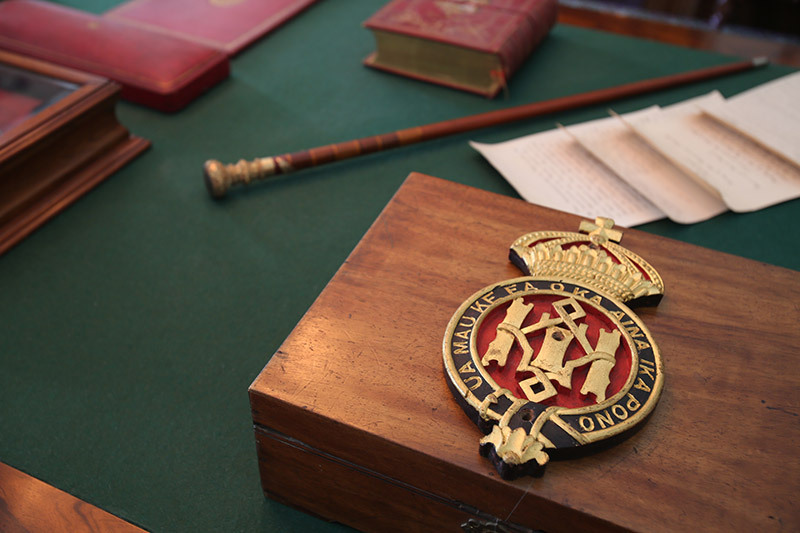 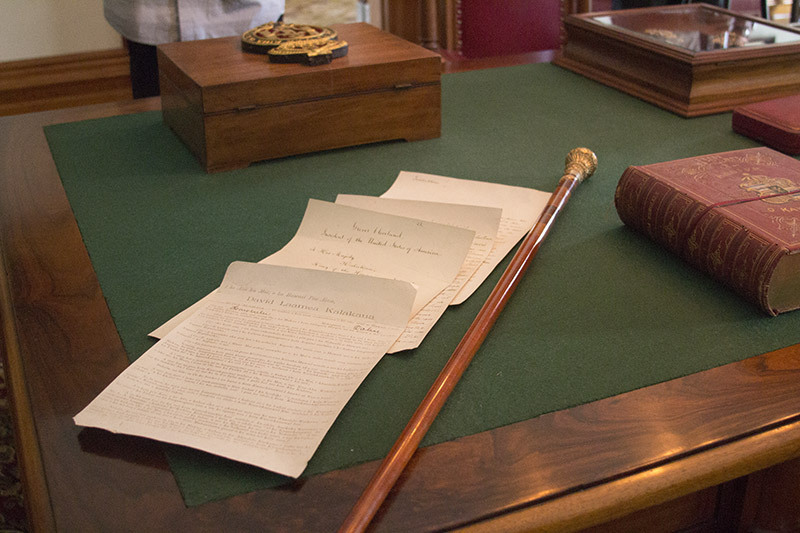 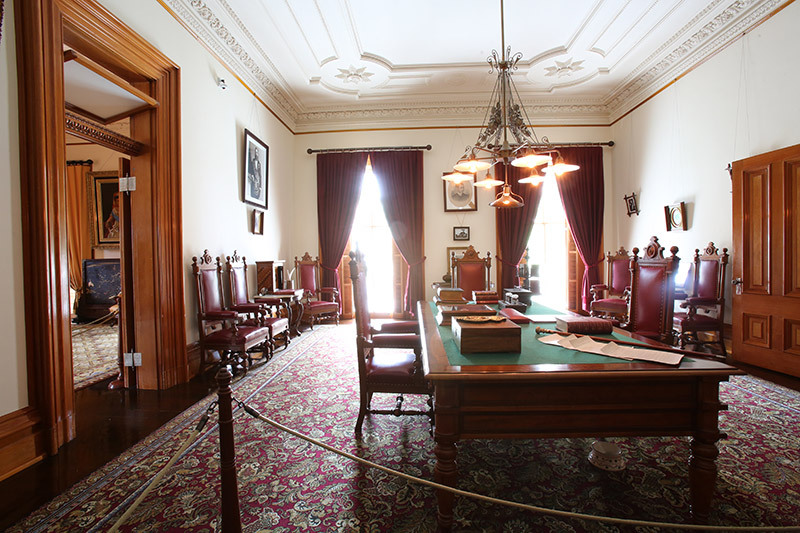 Copies of letters written to international leaders may be found along with electric lighting fixtures and a replica of the original telephone, luxuries that the Palace had even before the White House.